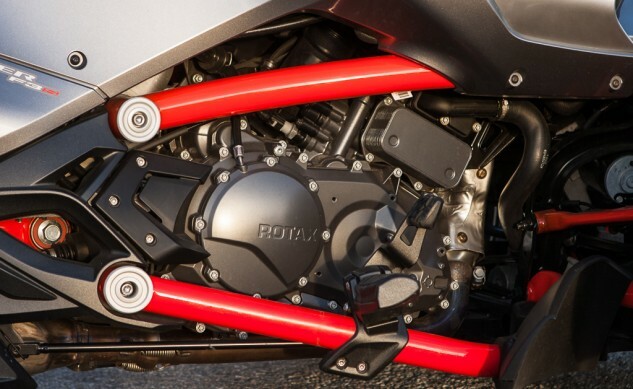 The 1330cc Rotax Triple powering the F3 is a massive performance upgrade over the 998cc Rotax Twin in other models. It’s slow to spin, but produces gobs of midrange grunt. Note the adjustable footpeg, part of the F3’s “UFit” system. “I loved the silver/gray/black colors of our tester, accented by the glow of KTM-like orange frame rails,” says Duke.